They're green, they're smart, they're dock free, but are they here to stay? 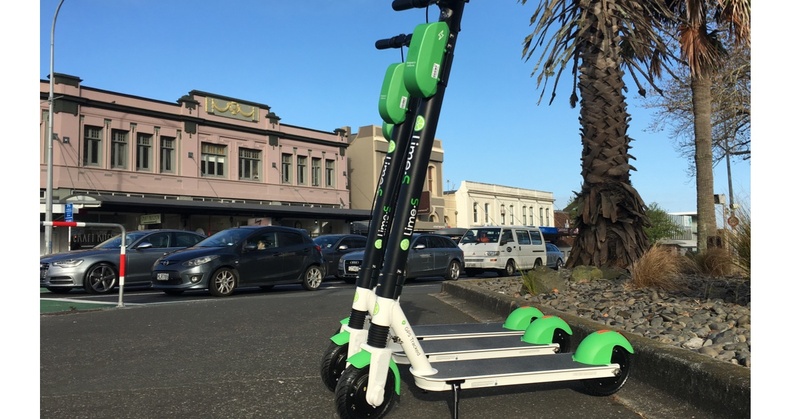 From America to New Zealand, the new Lime scooters have crossed the Pacific and made their way to our wee land down under. On October 15th, 1000 California-made Lime scooters seemed to appear in New Zealand overnight and take the country by storm. It was as though these bright neon scooters had been dropped in to herald a new twist in terms of transport, and shake up the opinion that a scooter is merely a childhood novelty. According to our analysis, the scooters have racked up 3000 Zavy mentions in just 2 weeks, no small feat. In America, Lime has been around for a while but their recent headlines have not been the most positive; a recent recall because of a battery fire risk (talk about a hot ride) has been in the news but luckily the manufacturing defect has not affected our Lime scooters here in NZ. How do Kiwis feel about Lime e-scooters? If there's one thing these scooters do, they divide a room. Many Kiwis have been wondering if the rules around them are strict enough to prevent accidents from occurring. When asked about them, 70% of people were neutral, 20% negative and only 10% percent positive. Perhaps this should come as no surprise due to there being a reported 14 ACC claims within 11 days of the e-scooters appearing, with everything from injured limbs to broken teeth being reported. Ouch! Not only that, but with the profits from the brand going straight back to California, there have been a number of questions raised: should the NZ tax payer be footing the bill? Should the scooters be banned straight up? Or perhaps the rules are fine as they are, and we ought to loosen up? Either way, there's no straight answer. San Francisco are removing their current ban on scooters 3 months after rejecting them, but this has only come about after strict regulation enforcement on the companies that are allowed to 'scoot' around the city. A little closer to home here in Auckland, the mayor Phil Goff has ordered an urgent scooter council report on safety to figure out if e-scooters do actually belong in the low-powered vehicle legislation, and if this legislation needs some updating in the wake of the e-scooter giants’ arrival. We're curious to hear what you think! Have you taken a ride on a Lime yet? Maybe you're of the opinion that they're accident traps? Either way, we want to hear your thoughts so let us know what you think in the comments below. Don't forget to check out more of us if you're intrigued with how you can be owning social media like these e-scooters currently are. Trust us, it's worth it.